It’s time to celebrate the release of new iPhone 3G. Few minutes ago we published as post covering 7 video demos covering un-boxing to review of all new features. 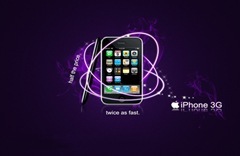 Here is another post on 55 gorgeous iPhone Wallpapers for your Desktops and Laptops.